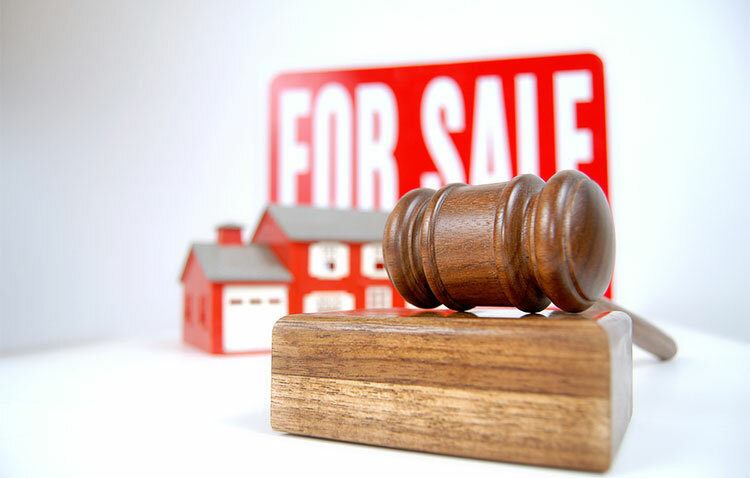 Selling a property at auction can be a great way to make sure you get the best price possible and avoid any last minute problems. Property auctions are now more popular than ever, and due to this the prices of properties being sold through auction are being driven up. The great thing about selling your property at auction is that once the hammer falls, the contract with whoever has made the highest bid is final and binding. The person who buys your house will be required to pay a 10% deposit before they leave and then pay the rest of the money within 28 days. This is very reassuring for vendors, as it means there is much less worry about the deal falling through or the buyer not paying. Some types of properties are more suitable for auction than others, so think about whether your situation would work well with the process. Auctions generally tend to attract buyers after a renovation project, so if the house you are selling is particularly run down, it’s likely to do well at auction. Other houses that do well at auctions are unique and unconventional types - houses that are different to the norm and are harder for estate agents to value. Bidders will help to determine the market value of the property, as they will offer what they think it is worth. Alternatively, you could just need a quick and simple sale – perhaps you have bought another property already or are planning on moving abroad. The majority of houses sell first time at auction, and this gives you the security and reassurance you need to move on with your plans. Before the property does go to auction, you need to sit down with your estate agent and decide what the reserve price you want to put on the property is. The reserve price is the minimum price you are willing to accept for the property. Make sure you think about this long and hard, because once you have set it and someone has bid, there is no going back. Your estate agent will most likely decide on the guide price for the property. This is not usually the same as the reserve price and is designed to the get the best price possible while still keeping it at a level that will entice buyers. It is important to remember that you will have to pay your estate agent or auctioneer a fee or a cut of the final property price when you sell at auction. This should be discussed in advance, so you know what you can expect to tale home if you only manage to get your reserve price. Your estate agent will help to produce a catalogue for your property, and it is up to you to make the place look its best before the pictures are taken. Before the day of the auction, buyers may want to come and look at your property too, so viewings will be arranged at suitable times. Make the most out of your property and try to show potential buyers the most attractive parts of the house and the opportunities that it offers. It can also be worth publicising the property yourself, so advertise it on social networks and tell all your friends in the area. It’s a good idea to go to at least one property auction yourself before putting your house for sale this way. This will give you a feel for the way things work, show you other properties being sold and gain a better understanding of the process.